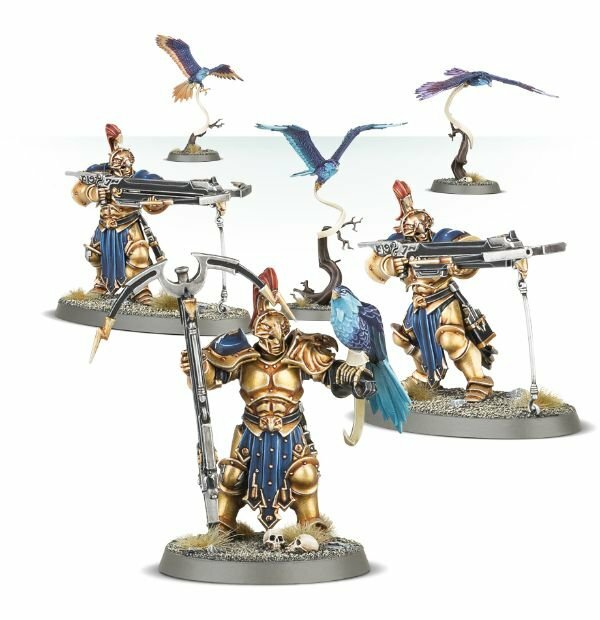 Here they are, the final units for the new Stormcast Eternals. I'm not certain of the maximum number of models allowed as I don't have the new book yet. If someone knows, please post the maximum unit number below. for +15 pts / model. for +50 pts / model. for +40 pts / model. Can't speak for the Hurricane Crossbows but the Longstrikes are worth more than that. Compare them to Jezzails, which people have been happy with at 150 per 3 for quite a while now. Longstrikes have better hit rolls, better saves, better leadership, better melee, the Warning Cry ability from the prime (he should probably cost 10-15 because of that), don't have the 'Artillery' keyword, and are only inferior in range-on-the-move. The maximum is indeed 12 btw, for all three units. Funny thing is, on the way to work yesterday it struck me I hadn't compared them to that unit - the most obvious unit to compare them with. The Jezzails have themselves been raised, so I'm going to take a look at the formula again, I think really long ranged weapons might not get the points value they should. As always, thanks for your insights Ninth!